For the last several weeks we’ve been experiencing a total mess, on our drop-off deck, when we come in on Mondays. Every single bag or box that was dropped off on Sunday when we were closed, had been opened or upended and a total mess. 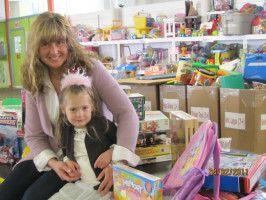 It was raining and a large percentage of the donations that were scattered were ruined. When we looked at the video recordings, we found a family of four thieves. An older adult female, a teen female, a young boy and an even younger little girl. We have the license tag, from another security camera, but hope we are able to resolve this directly with the family rather than to file a criminal complaint. Why it is so sad for us is; besides the stealing – the mess they left was ruined when it started to rain. Then of course there are the children are being educated about thieving! Taking something because you need it is one thing, destroying the balance is shameful, not to mention the possibility of selling it at a flea market or yard sale. 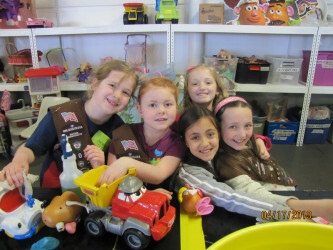 Girl Scout Troop 68123 Does Amazing Things And Wants To Do More! 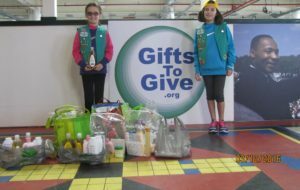 Last Saturday two representatives of Girl Scout Troop 68123 delivered a ton of hygiene supplies. We were flabbergasted! We never have enough of these type supplies to place in our gifts packages. 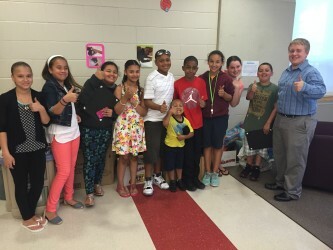 They’re on a new mission, one of early literacy and they need our help. Please reach out to them if you can help! 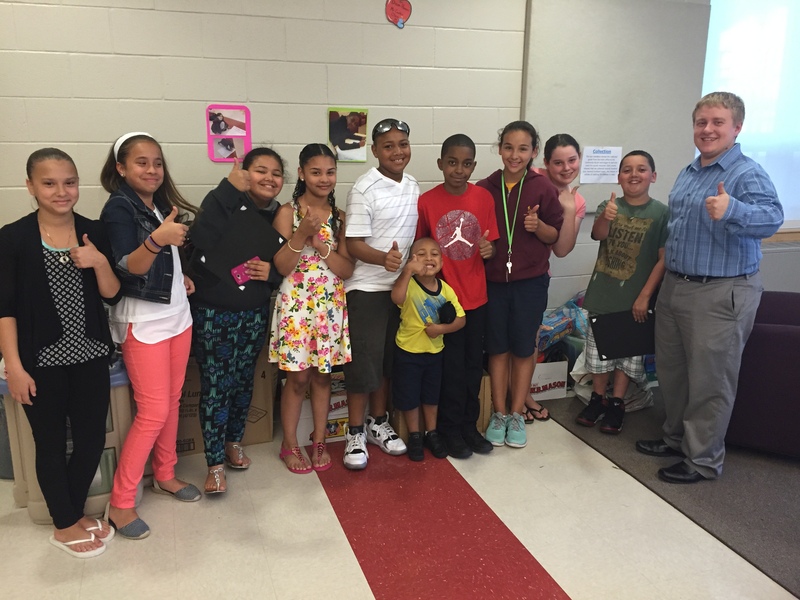 We asked their leaders to send us a story, so that we had some context and could share. Here is what they had to say – “The girls in New Bedford Troop #68123 chose to use donated funds they received during their cookie program booth sales to buy baby shampoo, powder, and lotion — based on GiftsToGive stated need for these specific items. 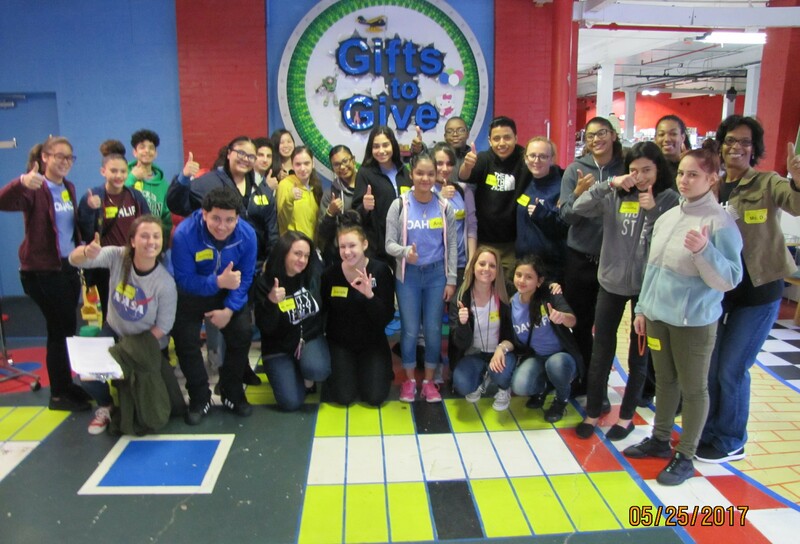 They also put together “kits” for adults & children — including shampoo, conditioner, lotion, toothbrush, toothpaste, combs, and petroleum jelly. Words of wisdom from an eight year-old! Wisdom is all around us, if we listen. Most recently, brilliant, simple and very clear wisdom came to us from Sophia, our favorite eight year-old, Uber Volunteer! What’s right with University Students? BSU students talk for themselves! We met a most remarkable young woman on Saturday, Jessie Barbosa. Photos from our day are here. 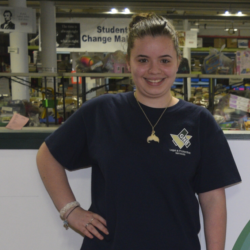 Jessie is a student at Bridgewater State University. She organized a day of service with several groups on campus. 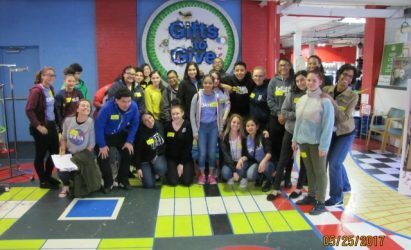 We asked Jessie to write about their experience, she had this to say – “On Saturday a group of Bridgewater State University students from multiple backgrounds, majors, and ages volunteered their time and services to GiftsToGive in Acushnet. 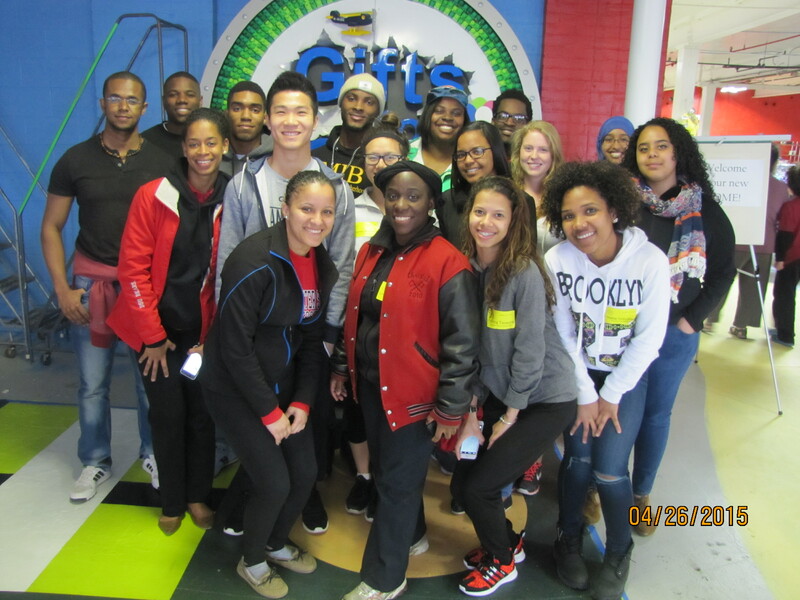 This community service was made possible by a collaboration between The Center of Multicultural Affairs, Men Integrated in Brotherhood and the Community Service Office, which all form part of Bridgewater State University’s clubs and organizations. 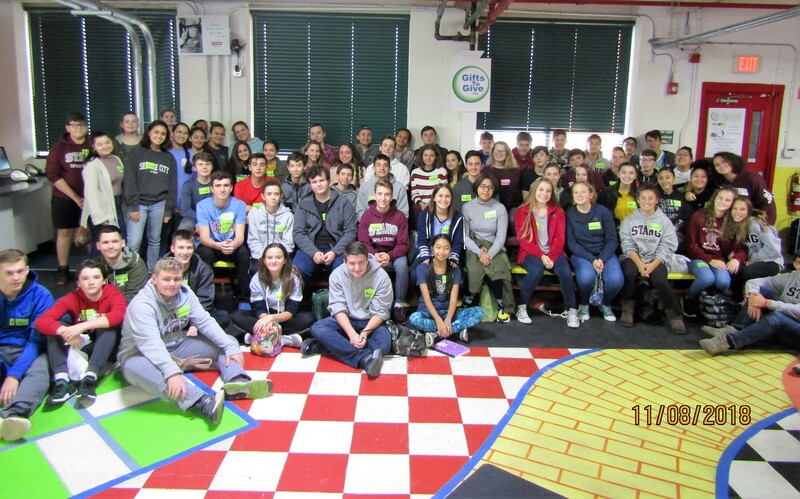 The students arrived around 9:00am, registered and then received a short orientation, which allowed them to understand the organization’s mission and familiarize themselves with the building. 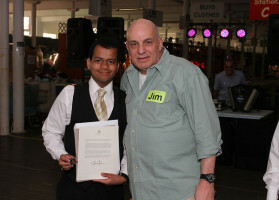 Presidential Service Award for New Bedford High School Sophomore! CamRon Frazier receives the Presidential Service Award! What does the President of the United States and Sophomore, CamRon Frazier have in common? Last Saturday night, at our First Annual “Rising Tide” event, we awarded New Bedford High School Sophomore CamRon Frazier, the Presidential Service Award. 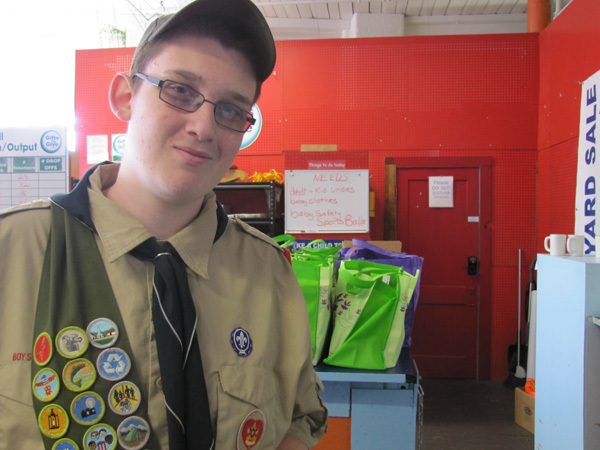 Eagle Scout Collects 1331 Books! Kenny, an Eagle Scout on a mission! Kenny is not your average teenager. He did something amazing for his Eagle Scout Project. Four year-old Austa taught us a thing or two about sharing! Our inaugural flight, or .. the first time we crashed the fist drone!